Fox News has always claimed to be a “fair and balanced” media outlet, but that claim has always been untrue. Throughout its existence, the network has been a partisan voice speaking out in favor of Republicans. During the last two years, though, a noticeable shift has occurred. Fox is no longer just pro-Republican. 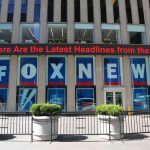 As Judd Legum noted in a lengthy exposé at Popular Information, Fox “has effectively transformed into a state-run propaganda network,” and its propaganda serves to promote one man above all others: Donald Trump. The evidence of this has been piling up for some time now. The latest clue came earlier this August, when White House counsel Don McGahn decided to waive federal ethics laws and make it easier for Bill Shine, Trump’s communications director, to speak freely with Fox executives. Federal law prohibits federal employees like Shine from communicating professionally with their former employers for at least a year; by speaking with his old bosses, Shine is violating long-standing protocol. The White House doesn’t seem to care. Did you know that freedom of the press is specifically protected in the Bill of Rights as part of the First Amendment? People often like to focus on the freedom granted to individuals through the First Amendment, but the Founding Fathers made a point to also ensure freedom of press early in our country’s founding. Whatever criticisms you may have about how our news media system is structured, it’s important to remember that freedom of the press is important to making sure that news isn’t biased toward any government institution. We can be proud of our country’s founders for instilling this ethic forever into the fabric of America. “The Administration has an interest in you interacting with Covered Organizations such as Fox News,” McGahn wrote, explaining his decision. “The need for your services outweighs the concern that a reasonable person may question the integrity of the White House Office’s programs and operations.” In other words, he is putting the personal interest of the Administration before the integrity of the Office. There are many, many reasons to question the integrity of this White House. One relevant reason: It’s becoming increasingly clear that Fox has infiltrated Trump’s inner circle, to the point where White House sources are telling Legum that Sean Hannity has become the president’s “shadow chief of staff.” Apparently, the two now speak almost every night before bed, discussing everything from Trump’s frustration with the Mueller probe to what the president should tweet next. Please retweet this to help those who aren’t sure which mainstream AND independent media outlets to trust currently. If you want to fight disinformation, this graph is one way to start. A politician and a journalist having conversations isn’t alarming in and of itself, necessarily. But what’s really scary in this case is that Hannity and his network are actually getting to dictate the direction of the country. Trump has admitted that “fake news” simply means news he doesn’t like, and in Fox, he’s found the converse of that. 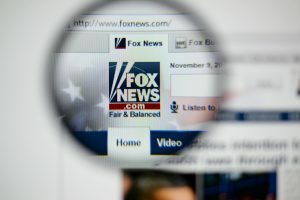 Because the network is willing to praise him constantly, Trump is happy to indulge Fox’s every whim; Legum reported that the president regularly uses Fox content as a jumping-off point to set the day’s agenda. Effectively, what we’re talking about is state TV, just funded by corporate sponsors. For years, we’ve judged Vladimir Putin and the Russians for controlling the media and using it to spin their own version of reality, but now, we’re witnessing that very same phenomenon here in our country. If that’s not an alarming change to our media landscape, it’s hard to imagine what is.